A Satin Back is recommended if you're going to be wearing a jacket over the vest as it has less layers and is therefore a bit cooler. If you're planning on wearing the vest alone exclusively (without a jacket), then a Tweed Back would add a touch of class. Regardless of which option you choose, the vest will come with a small cinch on the back to allow for a fit as snug as you'd like it. 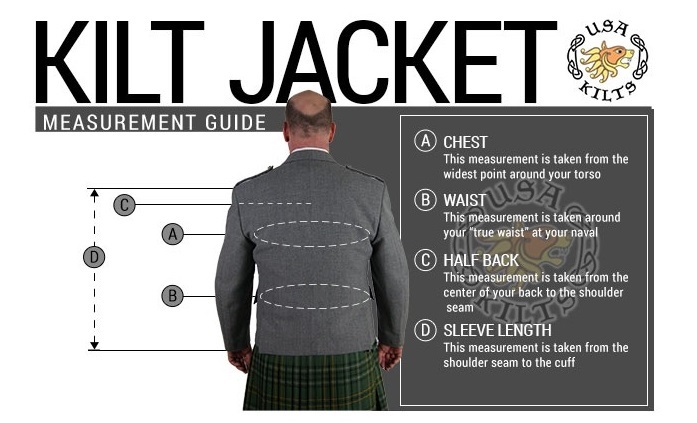 Are you looking for a “less formal” way to dress up your kilt? 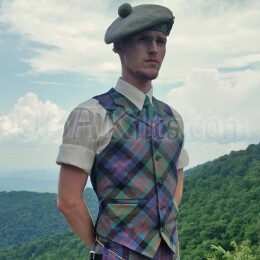 Are you getting a solid wool or tweed kilt and want a matching vest? 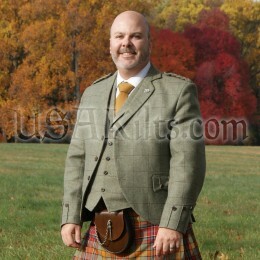 Any of the tweed swatches shown in the "Tweeds" tab above this text can be made into a 5 button vest. Sizing: this vest is made in the UK and is slim fitting. 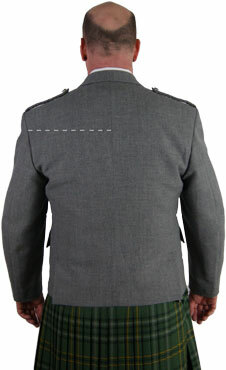 If you normally wear an American suit jacket size 42 Reg, please order a size 44 Reg. If you normally wear a 48 Long, order a 50 Long.